Interested in having a group visit our farm at Pumpkin Works? Then you're in the right place! Here at Pumpkin Works we offer both Private Parties and School Tours. 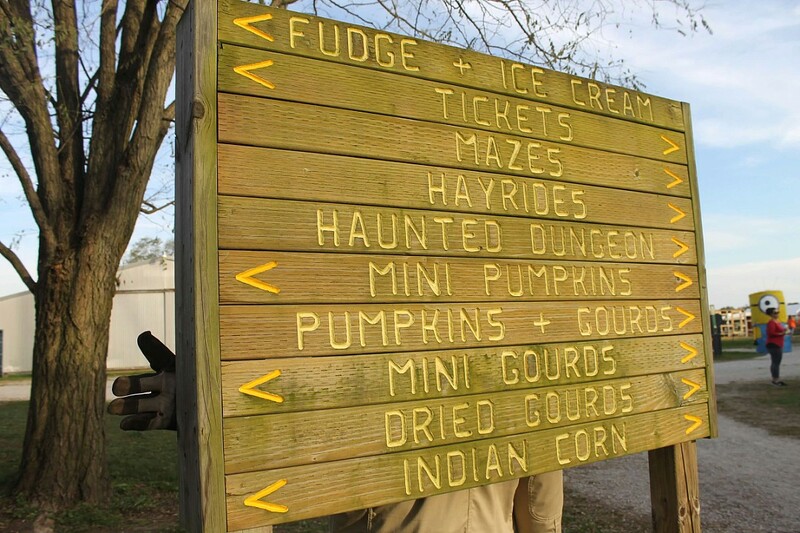 These visits are pre-arranged for your group to come to Pumpkin Works and enjoy the attractions and activities that we have available. We will be open Sept. 15 through Oct. 28, 2018! We're open for 2018! There are different activities and attractions for those of all ages here on the farm. Come to Pumpkin Works for a stress-free day in the country! Pumpkin Works is a smoke free farm. Please leave your pets at home for sanitary and safety reasons. It is recommended that an adult is with every 5 children. September 15th - October 28th (All activities available) You can reserve and have private hayrides and bonfires! Includes: fire lit and ready to use, 1 bundle of wood, picnic tables, seating around fire, and trash disposal. ​ Any extra bundles of wood are $5. You are NOT allowed to bring your own wood (due to the Emerald Ash Borer)! As a cost saver to you, we allow you to bring your own food (no alcohol). Roasting sticks are NOT provided. A filled picnic basket for 30 people is available for $150, when requested at the time of your reservation. Fire will be free to Church, Scout and 4-H groups purchasing 15 or more armbands. Reserve fire ahead of time. School tours are offered Monday, Wednesday, Thursday & Friday… not open on Tuesdays! We have designed self-guided tours to enable you to go at your own pace. Each tour includes access to the Discovery Barn, Museum, talk with Petunia the Pumpkin, three mazes and a hayride in any order that you wish. And once again, it is at your pace. The hayride is the only firm time. 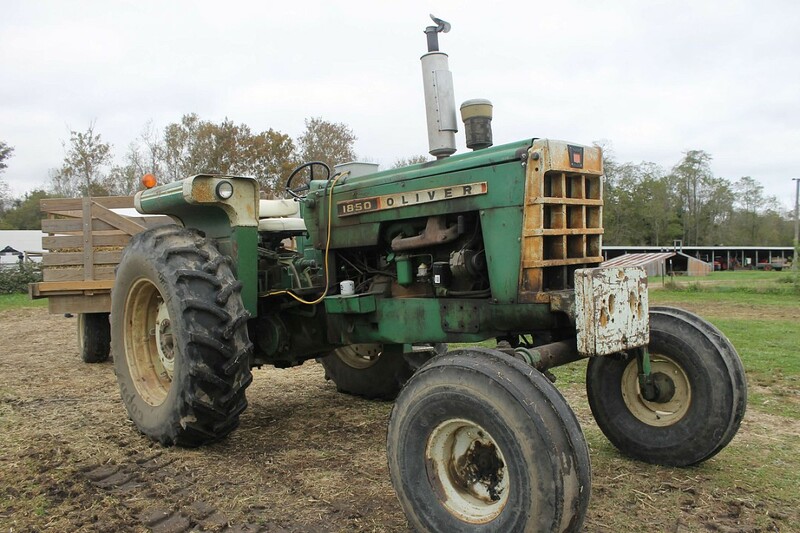 Take the hayride through the woods to Uncle Fred's Pumpkin Patch to pick your pumpkin! Learn about the crops, trees, and wildlife along the way. Back at the barns you will walk through a corn maze (Mystery), open-air pipe maze (Spider Web) and a straw maze (Oliver's Trail)! Mazes vary depending on the age group. The cost of this two-hour tour is $6.00 per person. Enjoy walking through a corn maze (Mystery), the open air pipe maze (Spider Web), and a straw maze (Oliver's Trail). Pick your pumpkin from the pumpkin yard. The cost of this one-hour tour is $4.50 per person. Admission for teachers, aides, and bus drivers are free on school tours. Arrive a few minutes early; buses can park close to the picnic area. Our picnic area is on the west side of the parking lot if you wish to eat at Pumpkin Works. Students may play in the silhouette yard before or after your tour time.